We took part in the awards the year before and found it such a great experience we were keen to do it again! There’s a lot of hard work that goes into the entries and judging but the value in terms of recognition and the positivity of a win makes it well worth it. 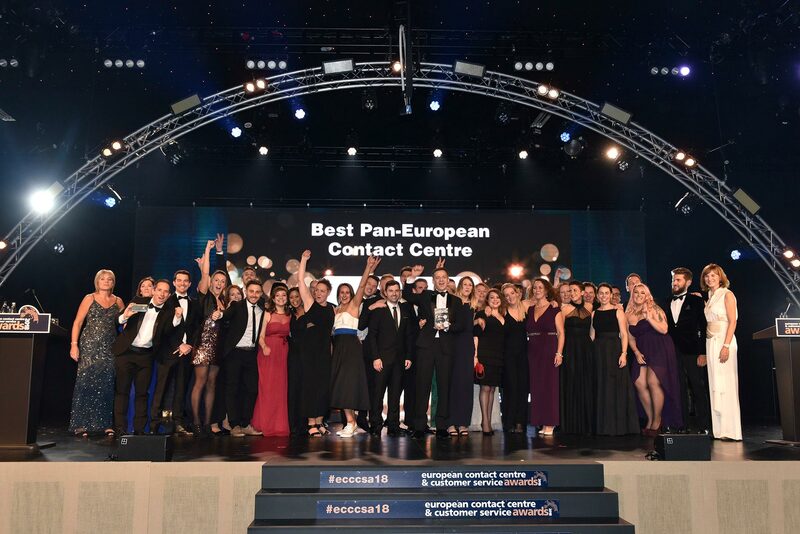 We reviewed the categories and felt that we had some great stories to tell, so decided to enter into three categories; Best Operational Support team, Most Effective Customer Service in Social Media and Great Place to Work. There’s a good range of categories and a lot of tough competition and we like the fact we can compare ourselves to companies across all sectors so winners really need to stand out. It’s also great to compete with companies across Europe instead of just the UK. These awards have real credibility in the Customer services industry. The judging process is rigorous and fair. As for the award evening, this is a well run and really enjoyable night out; we certainly had a good time! Despite a lot of nerves, we enjoyed being able to reflect on what we have achieved and share these with the judges. The judging day in London was well run and the facilitators and judges really put us at ease. It was both professional, but relaxed and the environment is set up to get the best out of entrants. We brought some junior colleagues who were instantly put at ease and really enjoyed the experience. Probably our whole table doing a conga to the stage when we won, or meeting Fiona Bruce and Sir Steve Redgrave. We also had some brilliant memories from our celebrations with the wider customer services team when we returned to the office. Being able to share the good news with the whole team was high on our priority list and we started planning during the train journey home the next day. We gave everyone in the wider team a thank you card for their contribution to our success, and gave out treats for all. We also did lots of photos of the team with the trophy. Take time to select the category you want to enter to ensure you have sufficient information – it’s important to include lots of fact based evidence rather than anecdotal information. Ensure you give yourself enough time to prepare thoroughly – for both the written entry and the presentations. Plan for issues; take a printed handout to the presentation in case your technology plays up; and don’t forget your laptop charger. These things don’t have to be a major negative but can throw you off course from the outset. Try to relax and enjoy yourself; the judges are equally passionate about customer service and are keen to hear about your achievements. Do you feel that your organisation has benefited from winning an award at the ECCCSAs? If so, how? Absolutely! The achievement helped to bond the team in celebration and definitely had a positive effect on morale and pride of the whole Customer services department. It has also given some kudos and additional credibility to the department internally as well as externally.